Motivated seller wants to see cash offers. 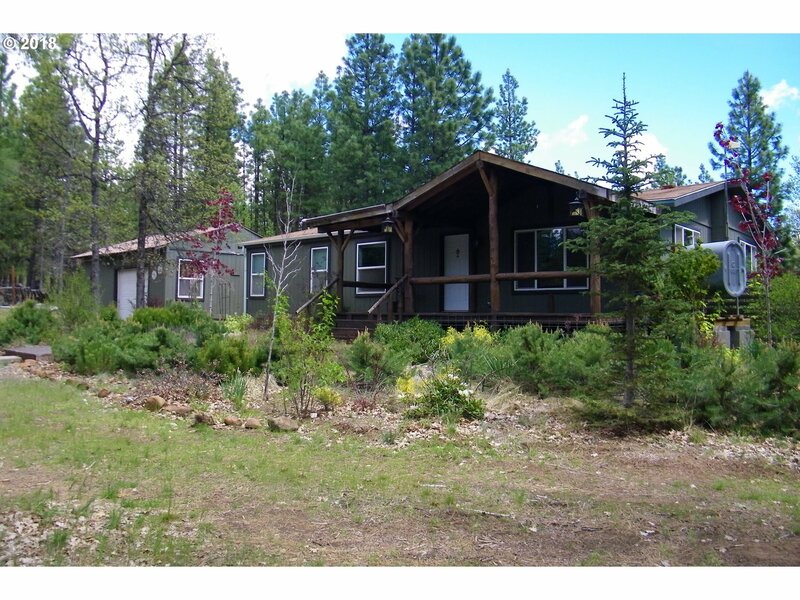 Wooded hide away all set up with quality Golden West home, sturdy covered front porch and back deck to enjoy the privacy, low maintenance landscaping, outbuildings include detached garage, 30x50 shop or barn, chicken coop. 2nd time placement and title has been eliminated. Fun place to ride horses and ATVs on back roads. Well log shows 20 gallons per minute. Standard cap septic system.